German Baroque composer, born 23 February 1685 in Halle/Saale, Germany; died 14 April 1759 in London, UK. 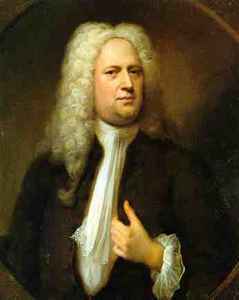 He spent most of his adult life in England where his name was anglicized to ‘George Frideric [or Frederick] Handel’. THE greatest composer of all time. No one else even comes close!